INDIA. Mumbai. 2006. 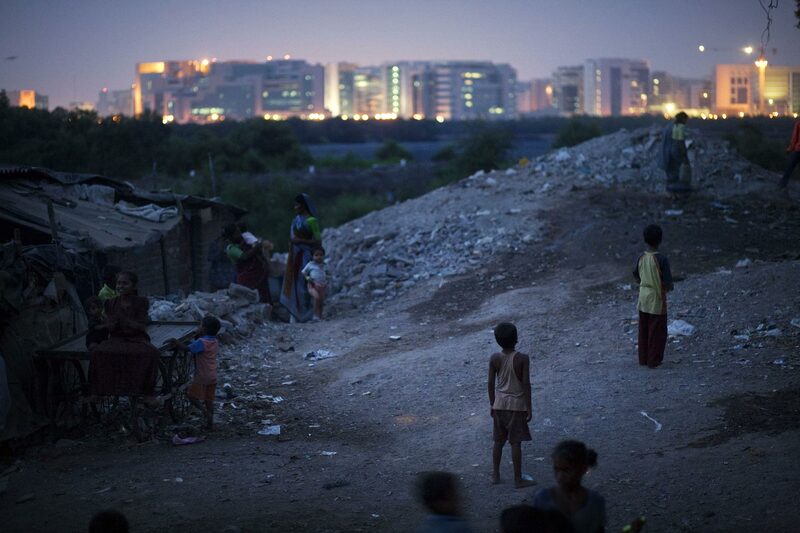 From the edge of New Dharavi, children play by the shanties, with the new Bandra-Kurla Complex shining in the background. The BKC houses multinational companies and upscale offices, and is a high-profile project in Mumbai as the city reaches for a modern identity.